Since the beginning of archaeology, researchers have combed the globe searching for evidence of the first domesticated crops. Painstakingly extracting charred bits of barley, wheat, millet and rice from the remains of ancient hearths and campfires, they've published studies contending that a particular region or country was among the first to bring some ancient grain into cultivation. Now, an international team of scientists, led by Xinyi Liu of Washington University in St. Louis, has consolidated findings from hundreds of these studies to plot a detailed map of how ancient cereal crops spread from isolated pockets of first cultivation to become dietary staples in civilizations across the Old World. "The very fact that the 'food globalization' in prehistory spanned more than three thousand years indicates perhaps a major driver of the process was the perpetual needs of the poor rather than more ephemeral cultural choices of the powerful in the Neolithic and Bronze Age," said Liu, assistant professor of anthropology in Arts & Sciences. Forthcoming Feb. 15 in the journal Quaternary Science Reviews, the study illustrates the current scientific consensus on the prehistoric food globalization process that transformed diets across Eurasia and Northern Africa between 7,000 and 3,500 years ago. Co-authors include researchers from the University of Cambridge in the United Kingdom; Zheijiang University in China; the Lithuanian Institute of History; the Smithsonian Institution; and the Chinese Academy of Social Sciences in Beijing. The study suggests that food globalization in prehistoric times was driven not by exotic appetities of ruling elites, but by the relentless, season-to-season ingenuity of poor peasant farmers looking for new ways to put just a little more food on their tables. "Recent research developments shift the focus from chronology and routes to the drivers of the 'food globalization' process and considers the context in which agricultural and dietary innovations arose and what agents were involved," Liu said. "These studies emphasize the role played by the primary agents of agricultural production, the ordinary farmers in the past." 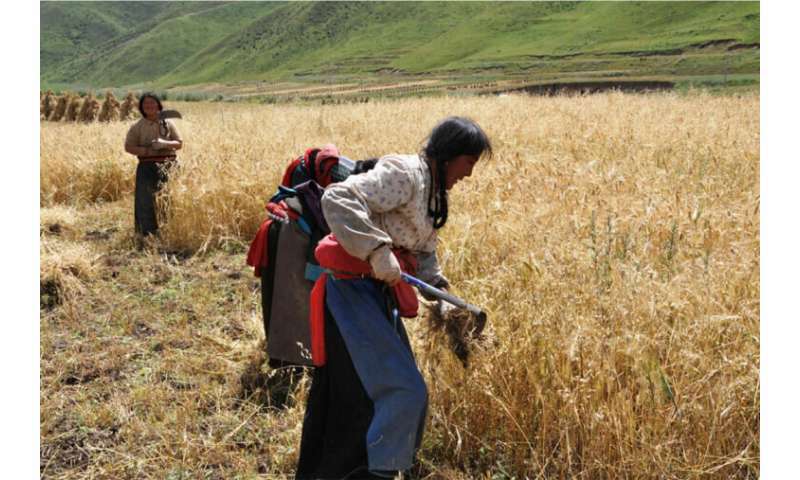 By trying new types of seed, plowing fields a little further up or down the mountain or shifting planting and harvest times, peasant farmers used a trial-and-error approach to overcome climatic challenges and expand the geographic boundaries of where certain grains could be planted. 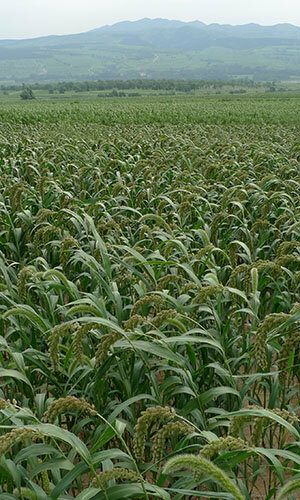 Gradually, this experimentation led to vastly improved yields as farmers learned to extend the growing season by planting both spring and fall crops in the same fields. While many people are familiar with the global spread of food crops following the exploration of the New World—a process known as the Columbian Exchange—Liu contends that the prehistoric food globalization process had an equally dramatic impact on food cultivation in the Old World. Wheat and barley moved from southwest Asia to Europe, India and China, while broom and foxtail millet moved in the other direction: from China to the West. 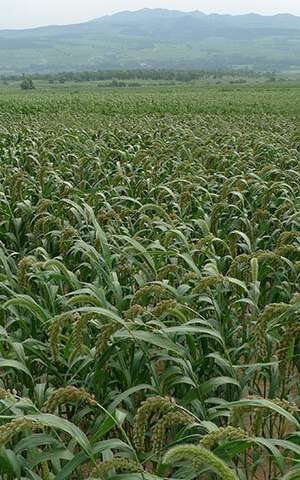 Rice traveled across East, South and Southeast Asia; African millets and sorghum moved across sub-Saharan Africa and across the Indian Ocean, Liu said. "While much of the exotic foods we enjoy today are the results of modern trade networks, the food globalization process clearly has its roots in prehistory," Liu said. "Food globalization was well underway before the Columbia Exchange and the Islamic Agricultural Revolution. It predates even the earliest material evidence of trans-Eurasian contact, such as the Silk Route, by millennia." Before 5000 B.C., early farming communities sprang up in isolated pockets of fertile foothills and stream drainage basins where conditions were optimal for cultivating wild grains that originated nearby. Crop dispersals are generally limited to neighboring regions that are broadly compatible in terms of climate and seasonality. 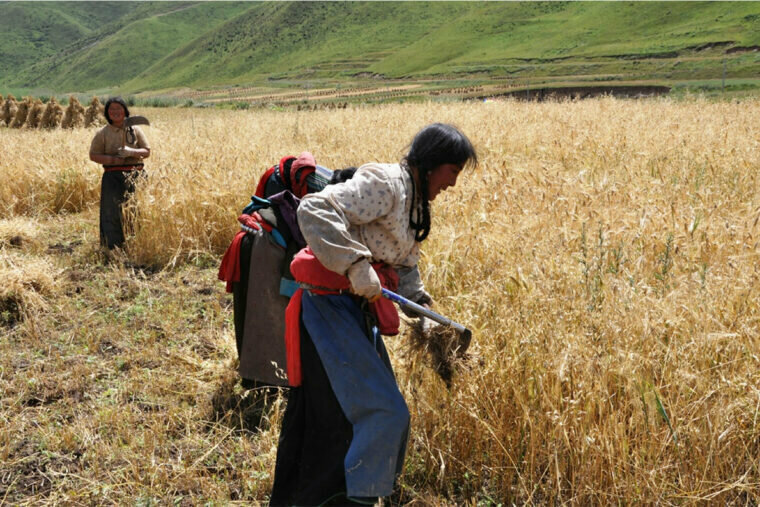 Between 5000 and 2500 B.C., farmers found ways to push cultivation of various grains across wide regions where crop-compatible weather systems were contained within and separated by major mountain systems, such as those associated with the Tibetan Plateau and the Tianshan Mountains. Between 2500 and 1500 B.C., farmers found ways to move beyond natural and climatic barriers that had long separated east and west, north and south—mastering the cultivation of grains that had evolved to flourish in the extreme elevations of the Tibetan Plateau or the drenching rains of Asian monsoons. Previously isolated agricultural systems were brought together, ushering in a new kind of agriculture in which the planting of both local and exotic crops enables multiple cropping and extended growing seasons. "The whole process is not only about adoption but also about 'rejection,' reflect a range of choices that different communities made, sometimes driven by ecological expediency in novel environments, sometimes by culinary conservatism," Liu said. "As the old Chinese saying goes: For what has been long united, it will fall apart, and for what has been long divided, it will come together eventually."